The object of this specific study is Greek Nietzscheism. In its context, fundamental aspects of Nietzsche’s reception in Greece are examined, such as the cases of the journals «Techni» and «Dionysos» as well as those of Petros Vlastos and Nikos Kazantzakis. More explicitly, the same study, ends up into the following conclusions: the Nietzscheism of the two journals takes the form of nationalism and social inequalitarianism, even the form of social Darwinism in the case of Pavlos Nirvanas, collaborator of «Techni». Vlastos’ Nietzscheism appears as a strict social – ethnical racism and as eugenics, and along with the Nietzscheism of «Techni» and «Dionysos», it draws Kostis Palamas’ praise and admiration. 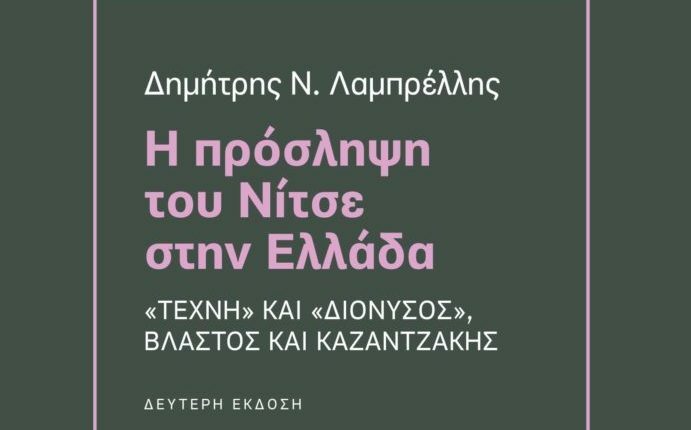 Kazantzakis’ Nietzscheism is characterized by a great profoundness and uninterrupted continuity: its starting point is the author’s dissertation on Nietzsche, the next step is his admiration for Mussolini and Franco, and the ending point is his co-operation with the journal of Metaxas’ Regime, «Neolaia». The present study subsequently shows Greek Nietzscheism as a gross misinterpretation of Nietzsche’s philosophy of multiplicity and mask, and it discusses the great deficiency of the scholarly approaches as regarding Greek Nietzscheism.